The new AE109 is designed to offer effortless, room filling performance from a slimline floorstanding loudspeaker in much the same way the world acclaimed original AE109 did 20 years ago. To do this, two 4 inch drivers utilising an ultra high force motor system are used in partnership with a 28mm soft dome tweeter. 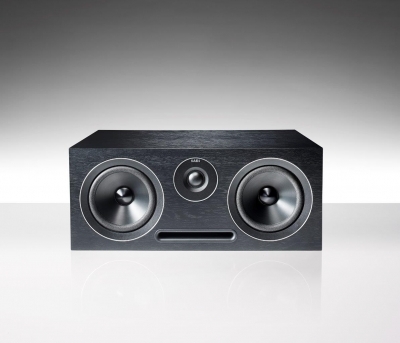 The 2.5 way crossover features a unique topology allowing integration and power handling previously unachievable from this type of speaker. its a new, compact, yet extremely powerful active subwoofer with remote control for easy set-up and adjustability. 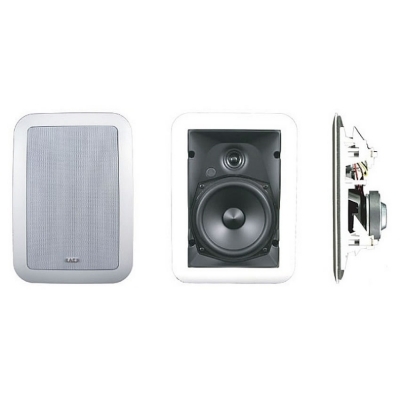 ideal for the modern home where controlled bass performance is required without compromising the living space. Featuring a brand new ceramic aluminium sandwich cone with an ultra-shallow profile and ultra-high force, long throw motor system, this new driver boasts improved dispersion, extended bass slam and overall power handling.The result of this latest drive unit technology and enclosure design is a slim-line, powerful floor-standing loudspeaker for the discerning listener when refined audio quality coupled with elegant aesthetics are paramount. Featuring a brand new ceramic aluminium sandwich cone with an ultra-shallow profile and ultra-high force, long throw motor system, this new driver boasts improved dispersion, extended bass slam and overall power handling.The result is an audio product with clean, uncluttered lines delivering a thrilling and powerful presentation discerning Acoustic Energy owners have come to expect for over 30 years. 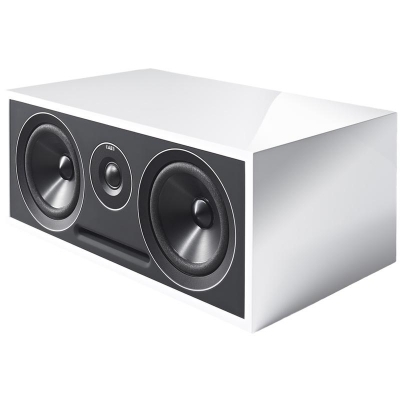 The 307 Centre is an elegant 2-Way Centre loudspeaker for home entertainment systems.Featuring the same sleek rubberized baffle and spun aluminium drivers as the other models in the range, this compact centre speaker is perfect for medium to large rooms. Versatile, modern and compact.With its front slot port the 301 offers great flexibility with positioning, sounding fantastic and fitting comfortably anywhere in your home.yet still retains the clean, powerful, articulate sound. With minimal distortion and resonance the 301 will offer you supreme clarity and cohesion wherever it is placed. 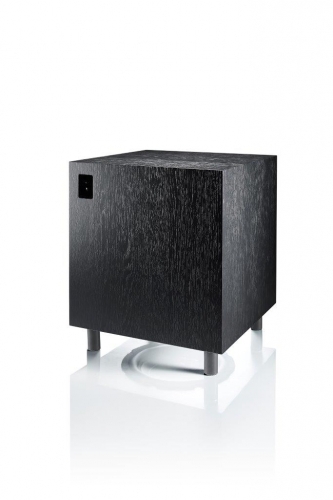 The 308 is a powerful, sealed-box active subwoofer for home entertainment systems.This hugely powerful 500watt subwoofer will integrate with the rest of the 3-Series flawlessly. Behind its angled baffle and magnetic grill this loudspeaker is packed full of AE history. Incorporating technology from the renowned AE1, the 305 represents exceptional value for money.Perfect for medium to large rooms and recommended for use on spikes. Designed to compliment the new Reference Series models both in looks AND performance.The Reference Stand is different, and better. 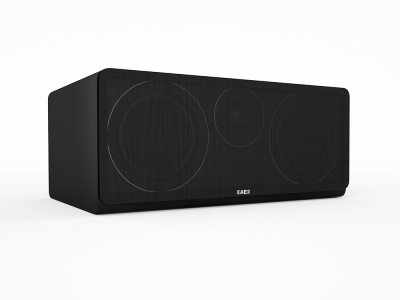 It offers the best of both worlds - relatively mass-light to ensure speakers retain an upbeat and lively nature, but incorporating the MDF/Rubber constrained laminate layer technology of the Reference loudspeakers in its construction. Designed from the outset as a semi-professional monitor, painstaking attention to detail in the design and construction of cabinets, crossovers and baffles ensure the new AE1 Classic reproduces complex, dynamic material as faithful as the award winning original. Bass/Mid Driver: 110mm ceramic sandwich aluminium cone. 32mm edge-wound voice-coil. Tweeter: 25mm magnesium alloy dome. 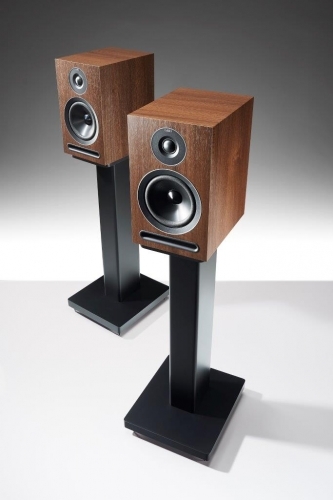 The Reference 1 is a completely new model for 2011 incorporating all our technological expertise in speaker design.With the Reference Series we've sought to improve upon every aspect of current speaker design to create a true, balanced, dynamic, wide-bandwidth and minimal colouration loudspeaker. 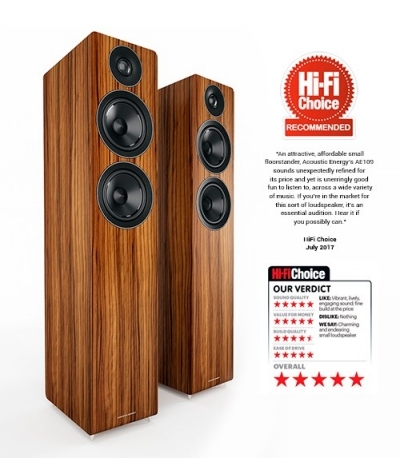 With the Reference Series we've sought to improve upon every aspect of current speaker design to create a true, balanced, dynamic, wide-bandwidth and minimal colouration loudspeaker.Elegant floorstanding design and luxuriously finished with real piano ebony lacquer mark the new Reference Series as the pinnacle of current loudspeaker design. 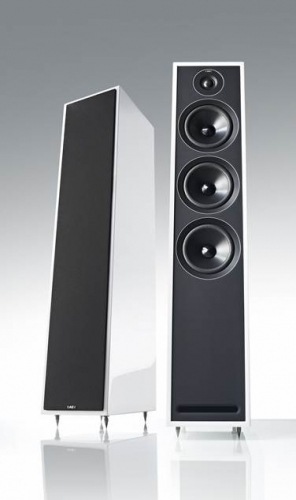 The Reference 3 is a completely new model for 2013 incorporating all our technological expertise in loudspeaker design. By using the separate bass and amplifier module, we have ensured that the Aego Soundbar is as elegant as the equipment you will be partnering it with, while delivering the level of performance that you would expect from an Acoustic Energy product. features an aluminium chassis, rubber push button controls and a clean, understated aesthetic. Bluetooth 4.2 with apt-X Low Latency for optimal performance, is also supported. Bluetooth 4.2 apt-X Low Latency,USB phone charging. 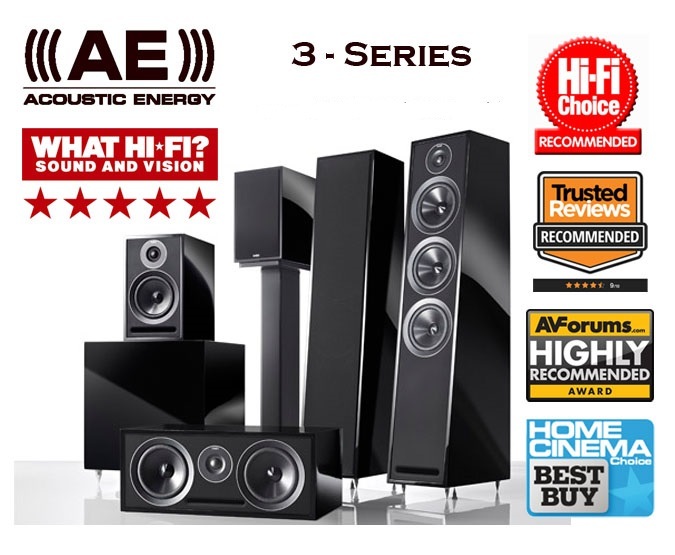 Home entertainment has undergone something of a style revolution over the last few years, and Acoustic Energy's AEGO Series is right up there with the best of them. 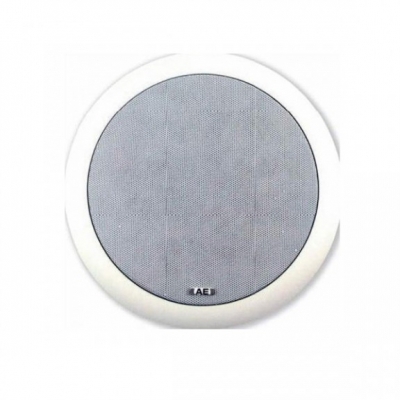 Perfect for medium to large rooms and recommended for use either on a dedicated stand or in a hifi rack. 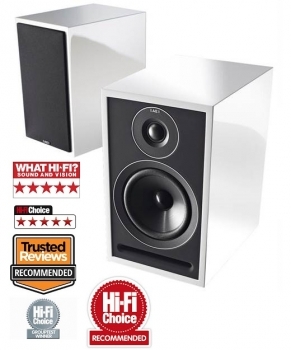 now boasts a host of improvements to finish, crossover and drivers to ensure this class leading monitor retains its market status.Perfect for the smaller room environment and recommended for use on bookshelves or rigid speaker stands. 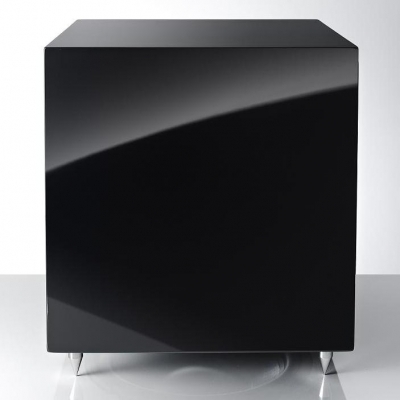 powerful, sealed-box active subwoofer for home entertainment systems. Voiced to match perfectly with the other Radiance Series models, the Centre can be used in any number of configurations with the Radiance 1's, 2's, 3's and Sub to form the basis of an incredibly dynamic home cinema package. 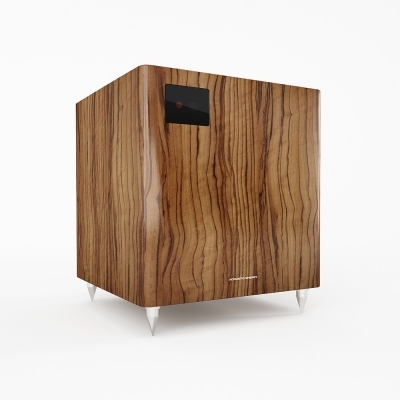 •Sensitivity 88dB for 1 Watt @1 M.
The Radiance Sub is a compact, yet high performance subwoofer designed to compliment the Radiance Series loudspeakers.An active sealed box design, the Radiance Sub remains controlled under all acoustic conditions - capable of timing perfectly with the most demanding music or producing thunderous explosions with the latest blockbuster films. Drivers: 220mm pulp cone with 48mm thermallybonded voice coil. High-power long-throw magnetsystem. 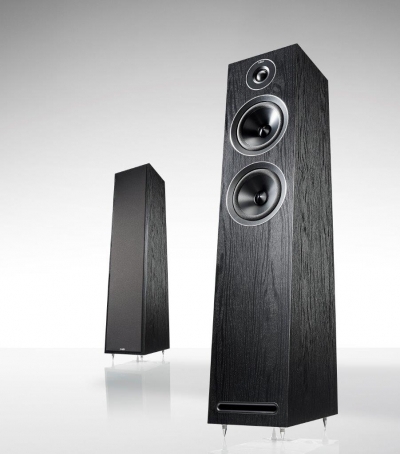 The Radiance 1's are the entry level loudspeakers in the Radiance Series.This is, of course, just in stature - every aspect of the "1's" performance is simply stunning given their compact dimensions. 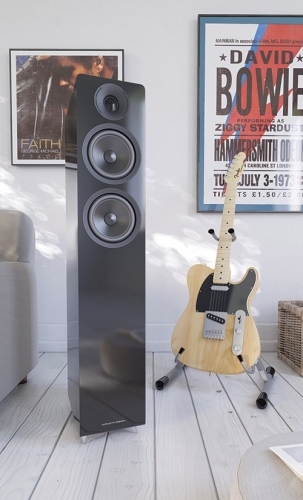 These are speakers which don't have to try to impress with a "big" sound from a small box, they just impress full-stop. 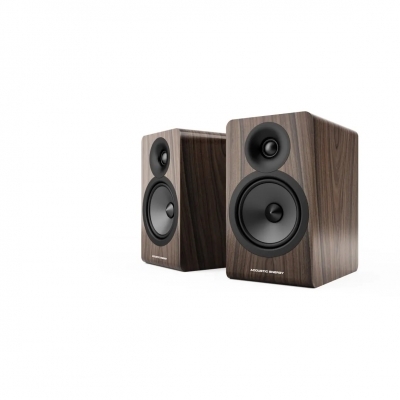 The Radiance 2's are the smaller floorstanding speaker in the Radiance line-up. The Radiance 3's are the flagship floorstanding speaker in the Radiance Series.A full-range 3-way model offering huge power handling and extremely low thermal compression, while remaining detailed, accurate and evenly balanced with all musical genres. 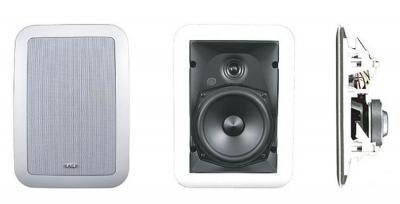 The Aego range is a range of high performance, entry level, in wall loudspeakers. All Aego CI Series loudspeakers are pre-primed with a white ready-to-paint finish, standard "dog leg" fixings and cut-out guides. Designed to provide true hi-fidelity sound with unequlled performance whislt remaining affordable, easy to use and install. 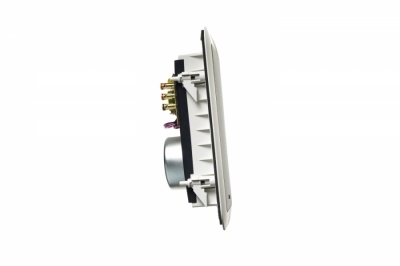 The Aegis CI series offers unequalled performance whilst remaining affordable, easy to use and install. 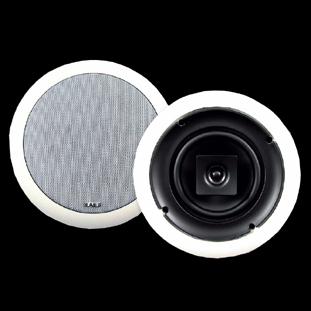 The Aelite CI series is our flagship range of in ceiling loudspeakers. Designed to combine the best in high-fidelity audio with ease of installation and unequalled value.